Madi had a good start to her day. Daddy took her to Variety Village to do some work with Stephanie. The big focus was walking! She walked up a ramp, did some standing with ski boots & Gaitors and walking with her ski boots! 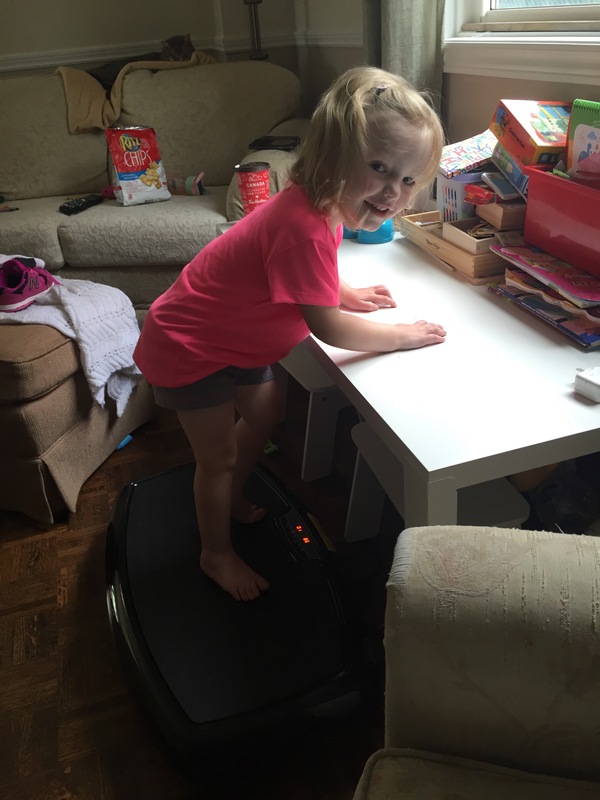 When Madi got home, Mommy set up her new Vibrafit vibration plate. It finally came (long story). 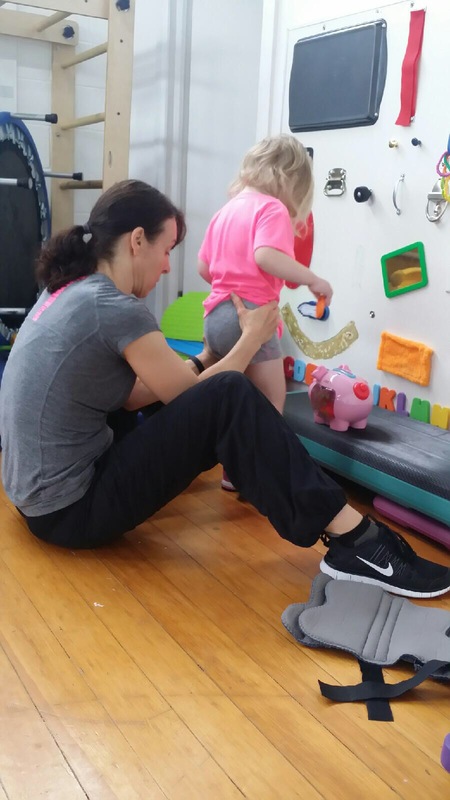 Many people with CP use vibration therapy to help improve things like circulation, bone density, muscle mass, balance and strength. 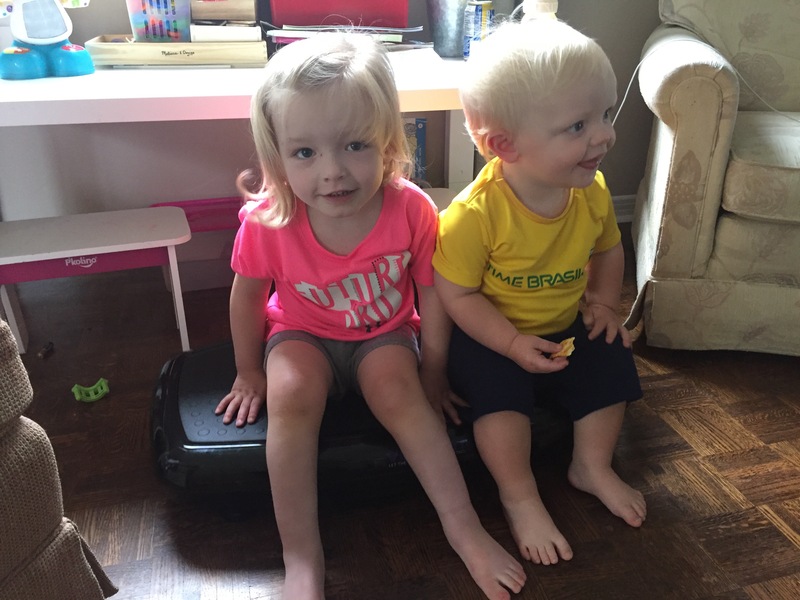 Mommy let Madi and Jack simply explore it today so Madi would be comfortable and then Madi will be doing different positional work on it like holding 4 point, high knees and standing on it. 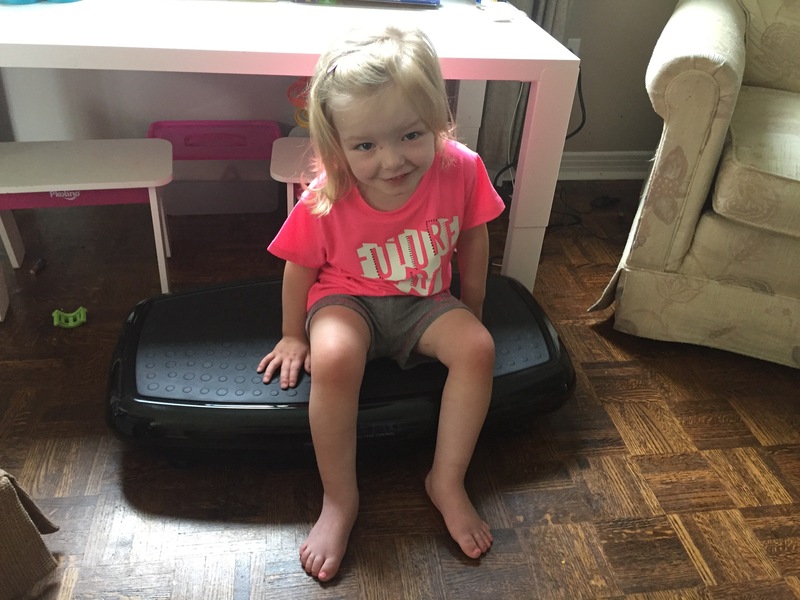 Madison received priority mail today which she was excited to open. 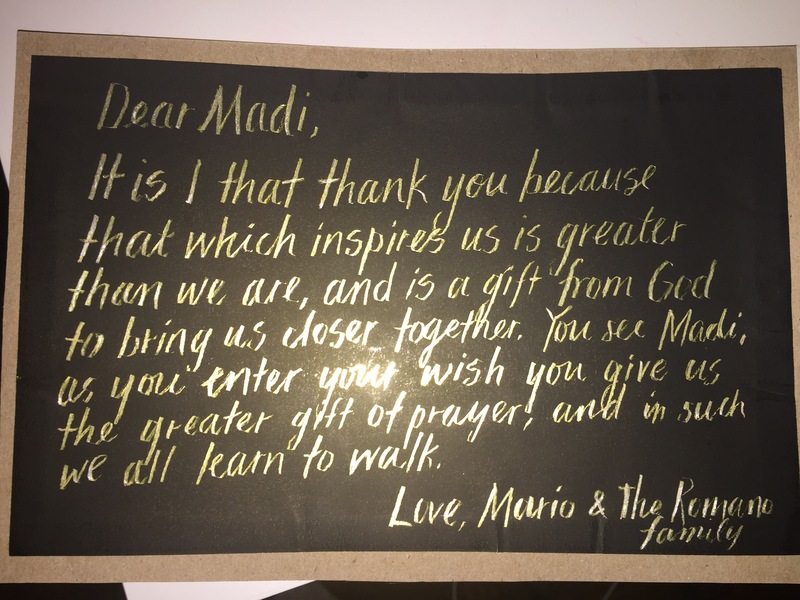 A beautiful letter was enclosed from Mario and the Romano family who supported Madison and many other families in Ontario who were in need of support for the same surgery Madison had. We are in the process of planning a dinner for all the families The Romano’s supported so everyone can meet and give thanks. This is a very special letter that we will keep for Madison to have when she is older when she can truly appreciate the meaning of everything. As the day went on, Madison quickly went down hill. She is under the weather and went to bed early. She will have a low key weekend to hopefully recover for Monday.